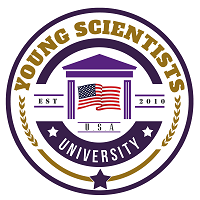 Young Scientist University (YSU) of United States of America was legally incorporated (Corporate Number: 100615573) under the laws of USA by a group of highly qualified academics and professionals worldwide to produce young specialists in all major fields relevant for the sustainable development of the global village. YSU is a leading & one of the fastest growing research oriented private university affiliated with Hebron Eco University & in working partnering with various Institutions of high repute in scientific research by means of department catering to that specified field of study. 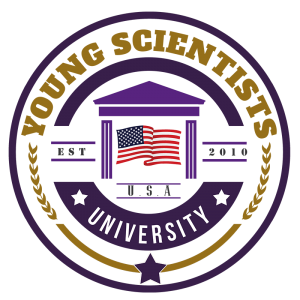 Young Scientists’ University, YSU with a rich heritage in academia and a global reputation for research led innovations. The university offers off campus based distance education primarily into Doctoral & Post-Doctoral research programs in a flexible and collaborative learning environment, through extensive research and industry coalition, enabling working professionals to enrich their skills, enhance their career prospects and make a real difference to the wider world without much disturbing their professional routine. As you step higher on your career ladder, the basic skills and common place experiences no longer help you stand distinguished. The prevalent methodology that up till now used to automatically accomplish your tasks, no longer seems adequate. As you out grow the routine practice of your skills & stagnated tactics, you realize the time is ripe to adopt a research oriented approach to start scanning the horizon around you through the eyes of an innovator. You start feeling the need of devising new methodologies that you had never encountered earlier. Making a difference in your education can increase your opportunities for a brighter future. Are you ready for a real research on subjects of your choice that will bring a paradigm change in your way of thinking & style of working at almost 180 degree…? At YSU we help you achieve your dreams in a subtle and effortless manner. We take our responsibilities very seriously, and focus on providing the highest quality education at the most affordable costs to our students. Pursuing a doctorate is a big commitment which requires your studies to be focused on your own interests rather than on your guide’s. Dig deeper into your research with one of our doctoral programs, and nurture a seed of an idea as it blossoms into a fully developed doctoral study or dissertation. 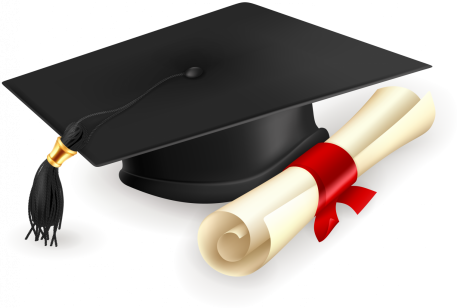 With an off campus mode doctoral program from YSU, you gain the knowledge and the credentials to make a difference in your life and in your community. YSU allows you to use your experience, talents, and interests to bring your passion to life and deliver game-changing results in your field. Our doctoral programs offer advanced theoretical and practical course work in a diverse range of areas. Program features include original research, comprehensive examinations, field experiences, residential colloquia, and a dissertation. Doctoral candidates enjoy a special level of advisor and faculty support and guidance to prepare you for teaching, leadership, research, or consulting positions in a variety of fields. World Class Industry Integrated Research Based Programs Such As Doctoral & Post Doctoral Fellowships through a number of highly advanced Learning Methodologies. Creating platform for scholars to design, innovate, create & publish through research. Engaging research scholars from over 140+ countries for various research programs, redefining education & academics globally through collaborative research based learning. Offering value added leadership development workshops and business simulation environment through partners. Innovative research based doctoral programs, helping research scholars to design, develop and innovate with the help of technology without leaving their current jobs, expert team of adjunct faculty to support for innovation through research. “Making the decision to study as an international student with YSU was not an easy choice, I am glad I decided to do it. The online training program I chose made my transition easier, and overall, I felt like I became part of a new world of learning. During each online course, I met a number of students from all over the world as I interacted with them in the online environment.